Barcelona welcome Atletico Madrid in LaLiga this weekend. 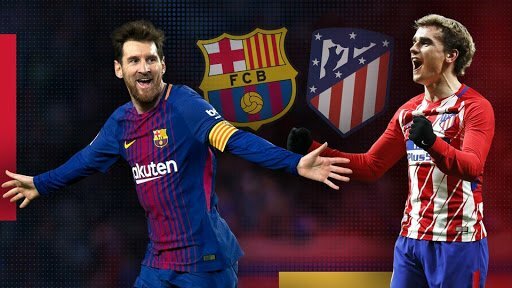 The highly anticipated clash, will see Barca who are currently eight points clear at the top, take on second-placed Atletico. A win for the hosts, will see them open up an 11-point gap, with seven fixtures left. Diego Simeone’s men will however, will be seeking to throw the title race open at the Nou Camp. Kick off is 7.45pm West African time.